After Democrats in suffragette white cheered themselves on, Georgia’s Abrams seized her moment. Even an hour-plus of Donald Trump’s lies couldn’t fully obscure the profound political renewal his 2016 election inspired. The first high point of Trump’s soporific State of the Union address came when he congratulated himself that women have taken most of the new jobs created in recent years, and inadvertently triggered a wild standing ovation by the record number of women who took jobs in Congress this year (almost all of them Democrats, many wearing suffragette white). “You weren’t supposed to do that,” he chided them, seeming confused by their cheering. But they didn’t care; the celebration roared across the chamber. 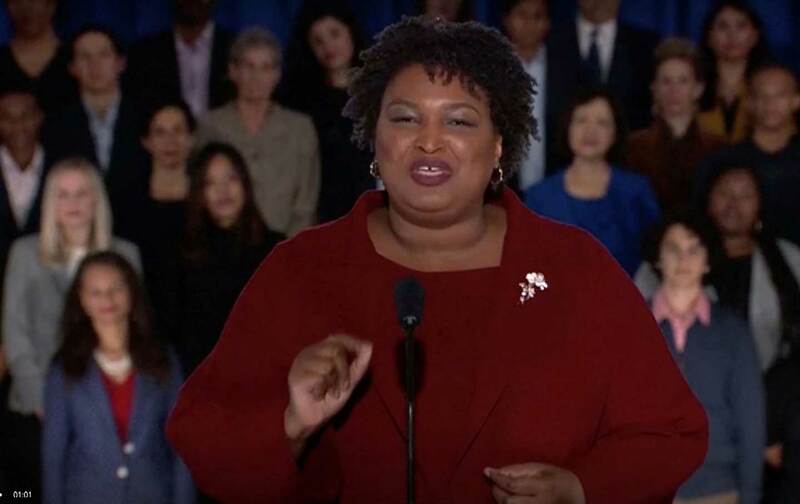 The next big moment came when Trump finally finished, and the Democrat designated to deliver the SOTU rebuttal took the microphone: Georgia’s Stacey Abrams, who narrowly lost her bid for governor in November, but emerged as a rising Democratic star nonetheless. Abrams was a bold choice to deliver the SOTU rebuttal: Having lost her race, she holds no elected office. But Democrats are courting her to run for senator in 2020, and her selection showed the party making two savvy calculations. First, they’re showing their debt to their most loyal voters, black women. They’re also endorsing Abrams’s line on her loss: that she wasn’t so much defeated as cheated out of the governor’s job, against an opponent who concurrently served as the state’s top election official and presided over the closures of hundreds of polling places in heavily black precincts, in the span of several years, and also held up more than 50,000 voter-registration forms, on bogus questions of authenticity, last fall alone. Flanked by a multiracial audience behind her, Abrams had no problem surpassing the lackluster performances of the many men, from both parties, who’ve preceded her. One of my questions was how her Georgia-specific appeal, honed in 18 months on the stump, could translate for a national audience. Traveling with Abrams last fall, I was struck by her deep knowledge of the state and its challenges: It was losing $8 million in federal funding a day because it refused to expand Medicaid; 5,000 children were on a waiting list for pre-kindergarten; the state has more retirees than any place but Florida. That specificity worked with Georgia crowds, but she’d have to widen her focus in this setting. It Wasn’t a Green New Deal State of the Union Address, So What’s the Point? And she did, with apparent ease. Still, she started the speech with a family story she used well and often on the stump last year: driving late at night, with her whole family, to pick up her father on rainy nights when his walk home from his shipyard job was a challenge. One night, he’d given his coat to a homeless man, and was drenched by the time they found him. “He was alone,” her father explained, “and I knew you were coming for me.” In Abrams telling, in every setting, it’s a parable of how in a just society, we’re there for one another. “Together, we are coming for America—for a better America,” she began. Maybe most important, Abrams took time to lay out her own signature issue: fair elections. “Let’s be clear: voter suppression is real. Rejecting lawful ballots, kicking people off rolls; I did not and we cannot accept efforts to undercut our right to vote.” That’s why, she said, she founded the voting-rights group Fair Fight (and introduced it regionally with a Super Bowl ad on Sunday, and nationally with the SOTU). Trump, rather bizarrely, used the SOTU to slam “ridiculous partisan investigations,” and insist that “if there is going to be peace and legislation, there cannot be war and investigation.” Abrams didn’t rhyme; she closed by asking Trump to respect the “extraordinary diversity” of the United States, and noted that “America wins by fighting for our shared values against all enemies—foreign and domestic.” She didn’t specify, but it was hard not to wonder if one domestic enemy of “our shared values” lives in the White House. When she finished, CNN’s Van Jones couldn’t help himself. “I liked that one better,” he admitted. And it was hard to imagine anyone but a diehard Trump backer could disagree. 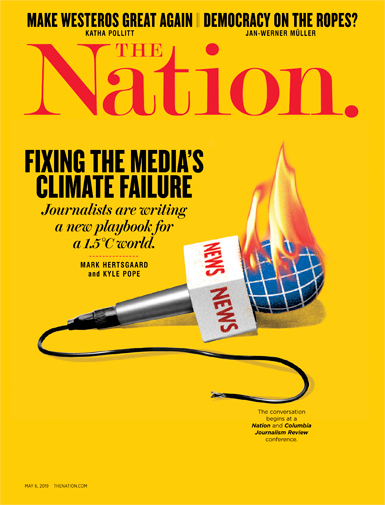 Editor’s Note: In an earlier version, this article mistakenly identified the CNN contributor as Anderson Cooper. In fact, it was Van Jones. The text has been corrected.